i-tec BlueTouch 243 is a wireless optical mouse with a Bluetooth 3.0 interface for comfortable and precise control of your notebook, tablet or PC. The Bluetooth adapter is nowadays integrated to most mobile equipment and so for connecting of the mouse there is no need to use an external Bluetooth adapter that would take up place in the USB port. Just simply link the mouse with your equipment and immediately you can start using it. The connection range is up to 10 m. The optic sensor enables using the mouse on almost any surface and at the same time it offers higher speed, precision and reliability than the traditional mouse. Using the 1000/1600 DPI sensor sensitivity setup button you can customize the speed of the cursor so that it suits your personal preferences. 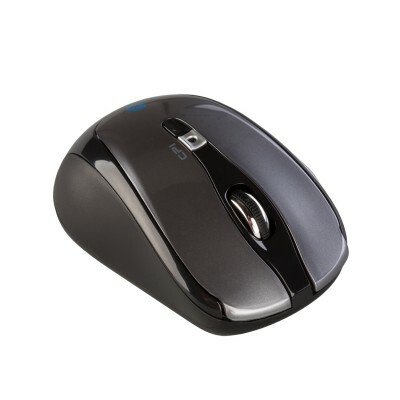 The mouse is compatible with the Windows ME, 2000, XP, Vista, 7 32/64bit, 8 32/64bit, 8.1 32/64bit, 10 32/64bit, Mac OS X and Android operating systems. Comfortable control of the mouse is ensured through 6 buttons whose functions vary in the individual operating systems â€“ you can find a more detailed description below. The symmetric design allows comfortable control using your right or left hand. The compact size of the mouse is an ideal solution for traveling users. The mouse is powered by two AAA batteries that are included in the package. - Left button: The left button has the same function as control by a finger. Holding down the button for approximately 1 s will call special functions (on the homepage). - Right button: The right button functions as the back button. - Scrolling wheel: Using the wheel you can move between the screens. - Scrolling wheel (when pushed down): the same function as the â€žHOMEâ€œ button. - Frontward button: No function allocated. - Backward button: The backward button functions as the back button. - DPI button: This button switches the optic sensor sensitivity in three steps 1000 / 1600 DPI.